The annual Gasparilla Pirate Fest is the event of the year in Tampa and Tampa Bay! Let Lakeland Limo Services take you in style this January to this fun and whacky event. We'll beat the socks off the behemoth limo companies in Tampa in price, and we'll double down on the service and elegance! 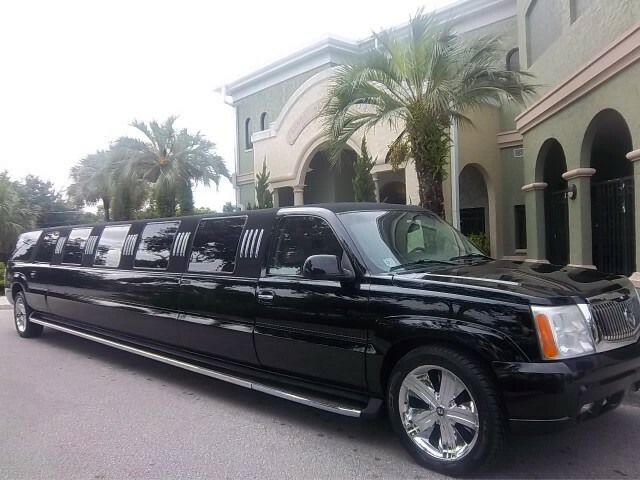 We have the finest limos in the Lakeland and Tampa areas, and it is just what the party ordered for this epic event in Tampa. From our custom leather seats that are silky soft, to our elite sound system and flat screen TV's. Our limos are regal and are always impeccably detailed. The parking for the Gasparilla Pirate Fest is always brutal and sometimes impossible, and you would likely have to park miles away and take a trolley to the event, or even a taxi. So this year do it the smart way, and pamper yourself with elite limo service in Lakeland, FL. This January, take all the hassles out of your travel, and have one of our luxury limos drop you off right at the Bay, or if you prefer to start on Ybor Street, one of the hot spots. Just tell your Chauffeur where to be at what time, and they will arrive early and cater to your every need! We will make the day amazing, and you don't have to worry about driving and parking. This is one event that you don't want to have to worry about driving and parking! Our Chauffeurs are trusted and respected professionals, who will provide a fun and exciting environment. They know the area well, and they also know the event, so they will take you exactly where you need to go, and will provide a safe and stress-free environment so you can party with the pirates all day and through the night! Call us today at 863-201-4470 for a FREE quote and to reserve your Lakeland limo rentals today!